How may times a day do you catch yourself looking for an answer or the tiniest clue about what’s next or how to deal with people or situations in your life. ‘Should I or shouldn’t I?’... Wouldn’t it be nice to have your private satellite navigation system that will always direct you to move in the right direction - without fail? Who would you be if you could not fail? If your answer is ‘I would be perfect’, or ‘I would have the perfect life’ it is the correct one. If you could not fail you would be a perfect being with the perfect life, but not thanks to the removal of failure. It is because you are perfectly designed to operate in a unique and specific way to you. The real failure is not knowing how you are designed to express and live your uniqueness. I didn’t - for most of my life. Over many years I was plagued by nagging fears that no matter what I had achieved, I had still failed in some of the most important areas in life and would never be able to flourish the way I knew I could. After years of experimenting with personal and spiritual development and becoming a coach myself, I discovered a body of knowledge that forever changed my life and my outlook on success. It was the Human Design system. My failures suddenly transformed into perfection and other people’s failures miraculously transformed into uniqueness. Now it’s your turn. A Design to Remember is a professional exploration of Human Design as an awakening tool with the added benefit of Co-Active coaching. The Human Design system reveals your bio-genetic code and the ways in which you are designed to fulfil your purpose. Co-Active coaching is a process supporting you to clear your mind and align with your body intelligence. This is a winning combination, although not without its entertaining challenges. The real challenge, as I hope you will soon find out, is to meet yourself as you truly are. At last. I invite you to enter the experiment and see for yourself. How does this work and where do we start? You can start right now by exploring your Human Design chart for the first time. This can be done instantly online with your accurate birth details here. You can then listen to short audio clips outlining some of the themes here. You may not be able to understand the basics of your design immediately on a mental level, but you might notice a deep resonance and a sense of relief. If this is the case, I congratulate you. If not, I congratulate you anyway, you made a start. Next - and this is where I enter the picture - we continue your exciting journey together with me as your Human Design guide and coach. Before we continue, I would like to introduce myself: my name is Ella Aboutboul and I would love to help you unlock your key to fulfilment, the way I finally unlocked mine. I guide people to operate in alignment with their true nature and to follow their birthright purpose with daily awe and awareness. If so we can arrange for you to have your overview Human Design analysis, which is structured as a three-session program. During your overview sessions you will learn how you are designed to make the correct decision for you according to your best strategy and natural authority. After that no one will be able to tell you what’s best for you. Not me. Not the best psychic in town. Not even god. 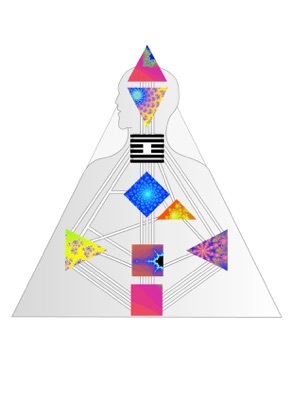 Human Design is a genetic mapping system with detailed information on the way we are designed to operate as bio forms. It is a synthesis of ancient esoteric knowledge and cutting-edge science. This includes the I-Ching, genetics, planetary constellation, the Kabbalah and the Hindu Chakra system. The success of Human Design lies in its mechanical format which can be practically applied to all walks of life. Your design is like no other, although you are one of four main types in Human Design. Each type contains unique variations with their specific strategies to operate correctly and harmoniously in the world. By having access to your Human Design you have the key to understanding how your energy is designed to work for you. Find out more here. Your true decision-making authority is alive and ready. Find out more about how we apply your Human Design as part of your coaching journey here. "I was very touched by the reading Ella gave me. It gave me a sense of being recognised on a deep level and precious confirmation that I am on the right track." “Coaching with Ella is extraordinary. She consistently enables me to shift from a mundane perspective of ‘problems’ to one where I can see not only the long-term perspective, but can become fully aware of my path through it all. And the amazing PLUS is that this brings JOY with it. It’s quite remarkable. This is top class coaching and I value her work very highly. After each session I feel energised and more able. The insights I get help me make infinitely better decisions. Since these decisions are aligned with my true self, they have constructive results in my day job - the field of conflict prevention. "As a coach/group leader of many years' experience it is very important for me to have someone I can turn to with full respect and confidence when I need coaching. Ella is such a person. In my experience she has a remarkable gift of listening at a deep level, and helping me have the all-important depth conversations with myself that only an exceptional coach can facilitate." “My experience with Ella and Human Design? appreciate the integrity and honour Ella brings to every session. Illustration by Ella Aboutboul. Collage of the Rave BodyGraph with fractal art (easyfractalgenerator.com). The Rave BodyGraph™ is a registered trademarks of Jovian Archive Media Inc.